I recently found this artwork, and I am very curious to see if there is a name of the artist, or a date ? Or both ? Can someone help me there ? Now, following the restauration and transfer of the Naishidokoro (Imperial Palace in Kyoto) it was asked by the Event Officier to procure one pair of Great Sung folding screen based on 12 old drawings. They were selected by according to the taste of court representative. Twelve drawings marked by seals. 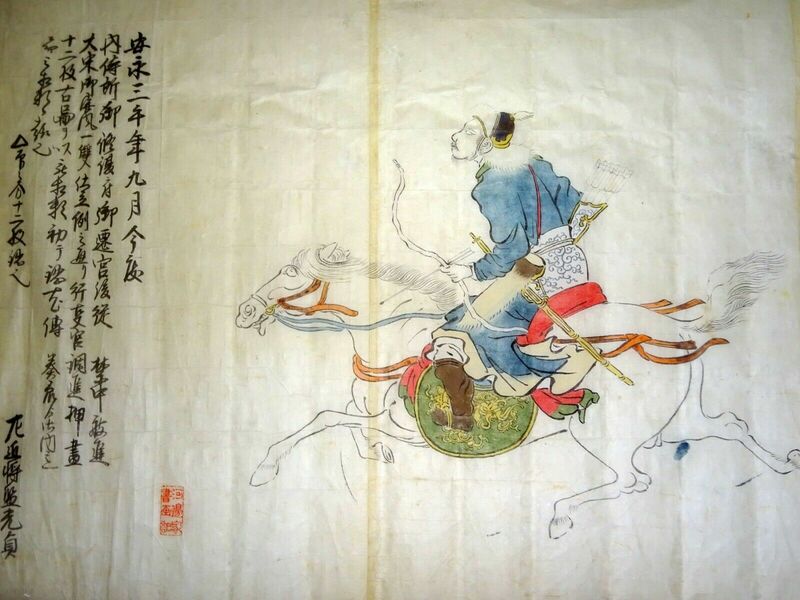 Seemingly your picture is one of the above mentioned 12 drawings,depicting a Sung Chinese horseman shooting with bow and arrow. Court painter, dedicated practicioner of Tosa traditions.